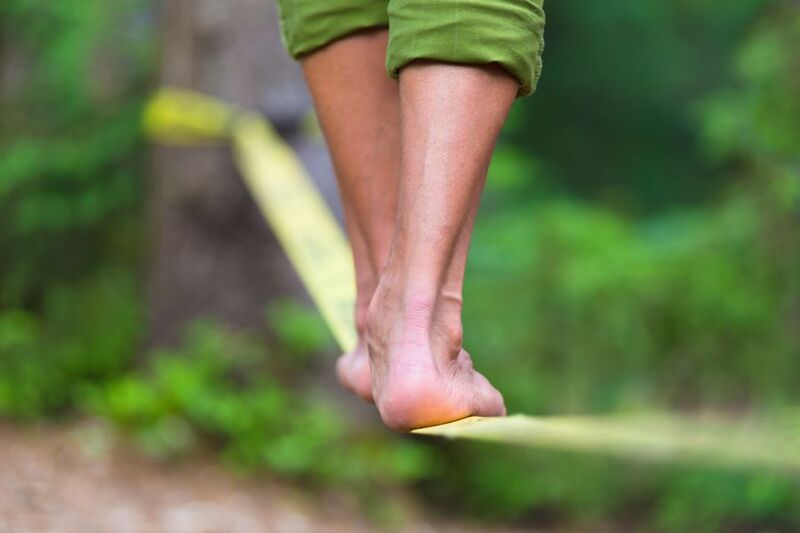 The Importance of Balance Training | Podiatry Associates, P.C. If anything is going to stand upright, it needs to have balance. Balance is the sense that keeps you from tipping over whenever you stand or walk. It allows you to avoid falling when you walk on something narrow, and keeps you in control when you play sports. One of the interesting things about balance is that it can be improved—and a little balance training can make a big difference for both preventing injuries and for recovering from them. Balance training is a type of exercise that works on the muscles that maintain your upright position. Ideally, it should be a key part of regular workout routines, along with strength, endurance, and flexibility training. Why does it matter? Well, since your sense of balance is what enables you to identify when you’re not staying upright, and then correct the problem, it’s crucial for walking, preventing falls, and even basic motions like climbing up stairs and lifting heavy objects. It allows you to self-correct when the ground is uneven, too. At the same time, a strong balancing ability can actually improve your athletic performance. It’s an integral part of your body’s self-control and mobility. Not only can it help you correct and avoid falls when you’re moving, it helps you endure and stay strong throughout your game or other athletic workout. Just as importantly, it can actually be used as a therapy to help you recover after a foot or ankle injury. Like any other skill or muscle set, you improve your balance by training it. This means regularly challenging yourself and building up strength. This can benefit anyone at any age—whether you’re an athlete looking to improve your performance, or a senior hoping to avoid dangerous falls. To get the most out of your balance training, it’s usually best to work with a physical therapy team like ours at Castle Pines Physical Therapy that can accommodate your needs and challenge you in healthy ways. One Foot Balancing – Without holding onto anything for help, stand on just one foot for as long as you can. Keep your other foot well off the ground. Advanced One Foot Balancing – When standing on one foot becomes too easy, close your eyes for 30 seconds at a time. When this is too easy, repeat the exercise while standing on a soft pillow. Heel-to-Toe Walking – Walk across the room in a straight line, setting one foot directly in front of the other so the back of one heel touches your other toes. Wobble Boards – Consider getting a wobble board and trying to balance as long as possible. If this is easy, do it while tossing a ball with a partner. Some activities like yoga and tai chi are also great for challenging your sense of balance and strengthening your lower limbs. Balance training has a wide variety of positive effects for your body. As an important member of regular exercise, it strengthens your lower limbs and your core muscles. It also prevents injuries from many falls and builds stability to the body. As such, it’s a key part of physical therapy. If you’re at all concerned about your balance, let us know at Castle Pines Physical Therapy in Castle Pines, CO. Just call (303) 805-5156 to make an appointment with us, or use the online request forms to reach us.